This was the weekend. This was the return of the British superstars, the wonder-filly Enable and the speedball that is Harry Angel. It was a contrast of tales for each horse however, and here is what we’ve learnt from this weekend’s racing. 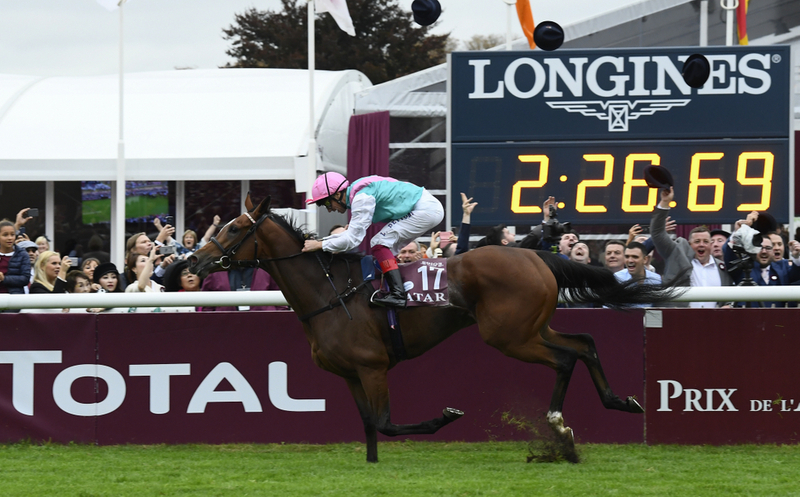 It was duelled to be the best race ever on the all-weather, the five-time group one winner and arc heroine, Enable, versus the new kid on the block, Crystal Ocean. Crystal Ocean was merely brushed aside, as the class oozed from the Queen of British racing to get Enable’s interrupted season up and running in the September Stakes. An injury to her knee had kept her out of her major summer targets, and the racing world’s eyes were all fixated on the group three at Kempton park to see if that sparkle still remained. The morning withdrawal of her pacemaker, Weekender, looked to have made her return a tad trickier. However, what could’ve been a tricky race was made to look a mere ease under a stylish Frankie Dettori ride. The winning margin was three-and-a-half lengths, but that only told half of the story. No whip was needed. No vigorous riding to line happened. She had brushed off Britain’s second-best middle-distance performer with consummate ease. The scariest thought after this was she was only 80 percent fit. Such is the calibre of Enable that any top-level horse would have peaked with that performance, this wonderful filly undoubtedly has still got improvement to come. All roads now lead to ParisLonchamp for the defence of her Arc crown, and trainer John Gosden will know victory on the first Sunday in October will propel her into the dynasty of the immortals of Horse Racing. So, the champ is back. Still so scarily good. She may be no bigger than 2/1 for the Prix De L’Arc De Triomphe, but the racing community will sit back and appreciate that we are watching an all-time great of the game. From one return to another, and the speed demon Harry Angel ultimately disappointed in what was a gruelling renewal of the 32Red Sprint Cup. Clive Cox’s stable-star was strongly fancied mark his return from a nightmare run at Royal Ascot with another victory in the group-one. However, after breaking keenly and contesting the lead, he inevitably started to tread on water and faded into a tame sixth. The recurring problem with the stalls still exists and with his enthusiastic style of racing, it is proving to be a thorn in the side for Harry Angel. He obviously prefers a sounder surface too, and with the autumnal weather to come, factors are against Harry Angel as he bids to wrestle back his title of Britain’s best sprinter. He has been the super-sub for many years at Willie Mullins’, but former Irish Champion Jockey Paul Townend has taken his riding ability to another level when deputising for the yard in Ruby Walsh’s absence. After a flurry of grade-one’s for team Closutton last year, he has begun the new season in flying form, which was headlined with a four-timer at Listowel on Sunday afternoon. What was even more impressive was the winners weren’t all heavy odds-on shots, and two of his victories came in competitive handicaps. Townend is clearly a supreme riding talent, and he will be well worth to follow this upcoming winter in the top races, or even to add to his sole Irish Champion Jockey’s title this season.